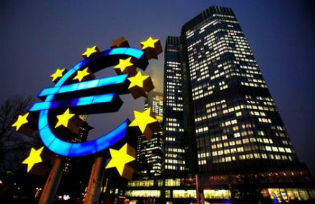 Financial market quiescence has removed pressure for immediate policy action on the Eurozone crisis. While important repairs were made in 2012, the most difficult ones still lie ahead. Much remains to be done by unwilling politicians. Things will have to get worse before they get better. The situation of the Eurozone is now becoming clearer. This article lists ten observations and draws five consequences. The bottom line is that, even though some important steps were taken in 2012, the most difficult ones still lie ahead. Much remains to be done by unwilling politicians. So, regrettably, things will have to get worse before they get better. Maybe 2013 will the year of bottoming up. It was predictable. Policy responses were initially easy. What was not as predictable was how policymakers would make a mess of it. Economists too bear a fair share of responsibility as they indulged in total disharmony, with many of us floating irresponsible propositions backed by deeply confused analyses. As time is passing by, the Darwinian process of separating out bad from good analyses is taking hold and things become clearer. Hopefully the following ten observations are less controversial in 2013 than in previous years. • As long known by elementary textbook readers, austerity policies have contractionary effects. More sophisticated economists know of non-Keynesian effects, but they also know the exacting conditions under which these effects occur. They are certainly not expected in the midst of a sharp downturn partly provoked by bank deleveraging. • Debt reduction is a very long process; we’re talking about decades, not about the next Troika review. Whether it starts in 2011 or in 2016 makes no material difference for that process, but it matters a great deal for the macroeconomy. • The debt-to-GDP ratio is best reduced through sustained nominal GDP growth. Inflation may seem to be the easiest solution, but it is not. Japan has shown how a lame central bank can be unable to extract the country from a deflation trap. A more active central bank can ‘do things’ but public bonds are no longer what they used to be: in a globalised world, promise two decades of moderate inflation and you get another sovereign debt crisis on your hands. Besides, having been there, no one really wants to unleash inflation anymore. That leaves us with real GDP growth as a necessary condition for bringing the debt-to-GDP down painlessly. • In a better world, we would have a fiscal union whereby the famed benevolent dictator would both coordinate national fiscal policies to achieve a good Eurozone policy mix and organise transfers from the countries that achieve their lowest unemployment rates in a decade to those where social suffering is acute. But in today’s world voters are angry at everything that is called Europe and will not back a fiscal union. And, by the way, we do not have benevolent dictators either. • The crisis has delivered a surprising degree of wage flexibility and labour mobility. This means that the need for dissolving the euro back into national currencies at almost any cost has evaporated. • The long-hoped-for awakening of the ECB has produced several miracles, especially a major relaxation of market anguish. The predictable result, unfortunately, is that politicians too have relaxed. They now are ever less willing to face reality. • In most Eurozone countries, structural reforms are as needed now as they were before the crisis. There are hopes that the crisis is somehow – i.e. through external pressure – making it less impossible to carry them out. But progress has been limited and, crucially, the results take a very long time to materialise. • Banks are at the heart of a diabolic loop: bank holdings of their national public debts (Brunnermeier et al., 2011). As these debts lose market value, banks suffer losses. If the banks fail, governments must borrow to rescue them. But national banks are the only remaining private buyers of public debts. Over 2012, national public debts have been alarmingly concentrating in their respective banks. • Massive forbearance has allowed many banks to not fully account for the losses that they incurred in 2007-8. For that reason, they deleverage, which leads to a credit crunch, which slows growth down. As the recession spreads and deepens, bank loan quality is quickly deteriorating. This second diabolic loop links banks and the real economy. • The ECB is the lender of last resort both to banks and to governments. This involves massive moral hazard. Moral hazard can be sharply reduced with appropriate institutional measures (Wyplosz, 2006). If these observations are agreeable, what are the policy implications? We all draw different lessons from the same observations, unfortunately. Here are mine. • Sustained real growth should be the number one priority. In the longer run, structural reforms will produce their magic effects, but we must also worry of the short run, and we have run out of instruments. Like the other central banks, the ECB has reached the limit of macroeconomic effectiveness. A few basis points off the policy interest rate are not commensurable with the depth of the recession. • Austerity policies must stop, now. However, this does not mean that expansionary fiscal policies are possible. Countries that have lost market access cannot borrow their way out unless official lenders are willing to help out. As more countries lose market access, official lending can only be provided by a dwindling number of countries, many of which are already highly indebted. Germany is a case in point. So we cannot expect fiscal policies to turn expansionary, especially in countries where the recession is deepest. • Growth will not return unless bank lending is adequately available. For that to happen, the banks must be extracted from the two diabolic loops described above: (1) they must stop lending to their own governments, and (2) they must be shut down if they are unable to raise the capital needed for them to lend to the private sector. But their governments may not have the resources to carry out resolution. • The ECB may act as lender in last resort to banks and governments, but who will bear the residual costs? The ESM is much too small for the task ahead and there is little chance that the better-off countries will agree ex ante to bear huge and unpredictable costs. This all means that we have hit a wall of contradicting needs – barring an export miracle, something will have to give. • The only remaining option is public debt restructuring, a purging of the legacy. This will lead to bank failures. This means that debt reductions must be deep enough to make it possible for governments to then borrow, to shift to expansionary fiscal policies and to bail out the banks that they destroyed in the first place, in effect undoing the diabolic loop. Who will lend? Even the best-crafted bank restructuring will not allow an immediate recovery of market access. The ECB is the only institution in the world that can help out. That means massive losses on its balance sheet and therefore negative capital, which is not an economic problem but a potentially severe political one. There is no easy option for the Eurozone after three years of deep mismanagement. Governments will not accept drastic action unless forced to. This means that we need another round of crisis worsening. Since every day that passes by is a day of misery and since the eventual costs are rising as public debts keep growing, the best that we can hope for is that it happens in 2013 rather than in 2014. Brunnermeier, Markus, Luis Garicano, Philip Lane, Stijn Van Nieuwerburgh, Marco Pagano, Ricardo Reis, Tano Santos and Dimitri Vayanos (2001) “European Safe Bonds: An executive summary”, The Euro-nomics Group, www.euro-nomics.com. Wyplosz, Charles (2012) “Fiscal discipline in the monetary union”, VoxEU, 26 November. Charles Wyplosz is Professor of International Economics at the Graduate Institute, Geneva; where he is Director of the International Centre for Money and Banking Studies.